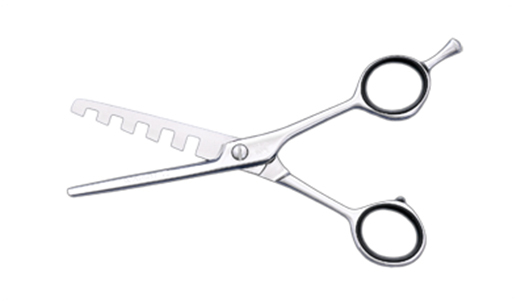 Excellent shears for weave cutting, channeling and achieving separation. Washi IRT 5T Alpha styling shears, 5 teeth heavy chunker. ideal for weave cutting, texturing and achieving separation. Make a real difference! Available in size 5.5. WASHI's Alpha 5-tooth chunker. Excellent for weave cutting, channeling and achieving separation. Straight handle and removable finger rest make it possible for both right and left handed stylists to use this texture shear.